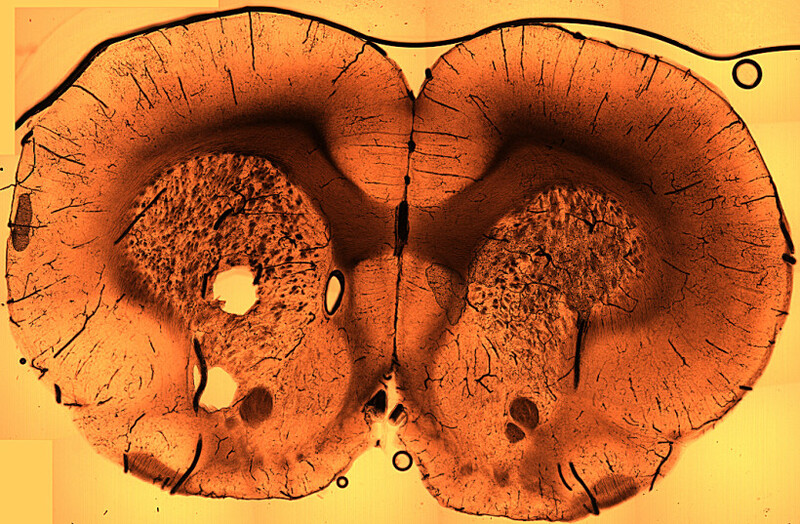 Stewart Yeoh from the Head Injury and Vessel Biomechanics Lab at the University of Utah provided this image of a BriteVu perfused rat brain. The dark lines represent blood vessels in the brain. This is a 200 µm slice with no stain, filters or special lighting (basic white light used). From the orientation of the vessels you can get a sense of how blood flows within the brain.